When people use or abuse drugs and alcohol, they are typically only putting their own physical well-being at risk. It is no secret that mind altering substances can do significant damage to one’s organs, and that some drugs carry a high potential for overdose. There have been a number of incidents over the years where people in charge of operating planes, boats or truck liners have caused serious accidents while under the influence. The captain of the Exxon Valdez oil tanker was alleged to be severely intoxicated when he ran the tanker aground causing the worst oil spill in history up until the Deep Ocean Horizon spill of 2010. Incidents occur every year that lead to loss of life because “safety-sensitive” employees are intoxicated. So just how often are people going to work under the influence? Quest Diagnostics conducts medical screens for employers across the country, and their screens show that employees testing positive for drugs is on the rise, The Wall Street Journal reports. 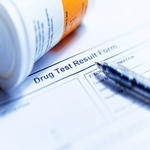 Last year, four percent of U.S. worker drug tests were positive for illicit drugs, reaching its highest level in ten years. When it came to the safety-sensitive workforce, positive tests rose to 1.8% from 1.7%. It is worth pointing out that those testing positive for prescription opioids dropped significantly in 2015, according to the article. It may be a sign that efforts to reduce the availability of prescription opioids are having an effect. But, on the other hand, employees testing positive for heroin increased. Between 2011 and 2015, tests that came up positive for heroin increased 146% in the general workforce and 84% with safety-sensitive employees. The spike is probably due to it being “more difficult or expensive to obtain extra prescriptions from physicians, or buy diverted pharmaceutical products,” said Barry Sample, director of science and technology for Quest’s employer solutions business.